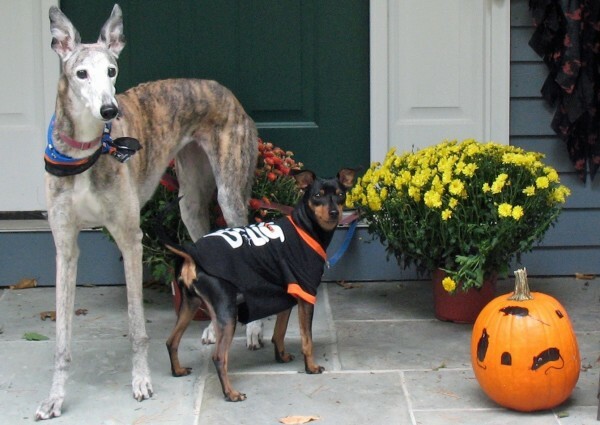 From Panic Stricken to “Peace At Last” – Discover Salt & Pepper’s Amazing Story! Are you thinking of opening your heart and home to a rescue dog? Go for it! You’ll profoundly change your new companion’s life – and your own! 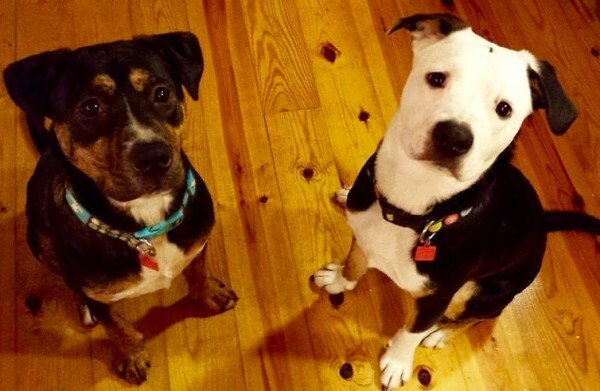 That’s what pet parent, Aidan Schroeder, did when she went to her local shelter, and welcomed two adorable rescue pups — “Salt” and “Pepper” — into her family. And to make the story even more wonderful, they’re brother and sister! However, before the trio could get settled in and start their happy new life together, Aidan ran into a serious and dangerous problem: both pups had diarrhea. She tried everything she knew to put an end to it, but NOTHING worked. Fortunately, that’s when Aidan discovered the healing power of feeding fresh with Canine Health. Read her inspiring letter below and learn how she, Salt and Pepper achieved “peace at last”! Hi there, I purchased Canine Health a couple of weeks ago. I am so glad your ad popped up in front of me when it did. I wanted you to know. I wanted to share our story with you. I can’t say enough good stuff about this food. I have two rescue pups that just turned a year old. They are brother and sister Pit Bull mixes who had a rough start to life and I assume were malnourished in the womb as well, based on their many health and emotional issues. I’ve had them for 6 months and through this time; we haven’t gone a week without consecutive days of diarrhea. They’ve been treated with antibiotics, probiotics, yogurt, pumpkin, rice water, everything the vets could think of for “shelter gut”. I finally got them somewhat stable (we could go 3-4 days without an episode and the episodes only lasted a day) with homemade turkey and rice supplemented with a limited protein turkey-only kibble, but we still had issues weekly and they were always scratching and biting themselves. The female, Pepper, had recurring ear infections and her eyes were always goopy. The male, Salt, is naturally super anxious and skittish and when he’d get ill all over the house, he’d be even more upset by the aggravated humans cleaning up the hellacious mess so it was sort of a vicious cycle. Not a very fun start to their lives with us! I Was Constantly Searching for Answers- I didn’t Want a “Semi-Fix"
I was constantly researching what I could try and one day Dr. Harvey’s food prep video popped up in my Facebook newsfeed. I went to the site and poked around. Even after reading all the testimonials, I was nervous to try something new yet again because I was spending so much on the special kibble with limited success and I really didn’t want another “semi-fix". Looking back, I wish I’d bought the 10 pound bag the first day I saw it! I was able to switch the dogs over pretty much immediately with no ill effects. They LOVE this stuff, which is surprising because it looks like weird veggie oatmeal. But when the kettle goes on, they’re glued to my side until the stuff is cooled and ready to eat. They’ve never been healthier. We’ve had no diarrhea since day one (and believe me, I am FAR TOO AWARE of their every movement. I’m really looking forward to new hobbies!) Their coats, which I thought were just naturally coarse and wiry, are so soft and shiny now. Pepper’s ears have cleared up and her eyes are improving dramatically. Their constant scratching has decreased a lot and Salt even seems calmer and less twitchy, which is simply amazing. I think it has everything to do with the fact that they both feel great and their humans are finally at ease. And they’ve ONLY been eating this stuff for TWO WEEKS. I can’t wait to see how much better they get! 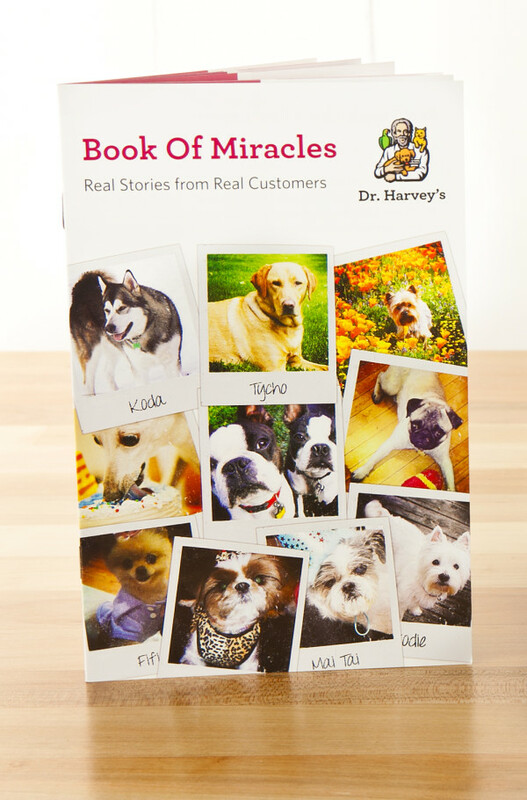 All this to say: Dr. Harvey’s Canine Health The Miracle Food is truly fantastic. It cures what ails dogs, I have proof. It improves their health and well being beyond what you would expect for mere food. Health really does begin in the kitchen! My pups will never eat processed kibble again. I only wish I’d known of this food for all my previous dogs. Peace at Last-Thanks Dr. Harvey! You’ve completely repaired my household and improved the lives of everyone in it. 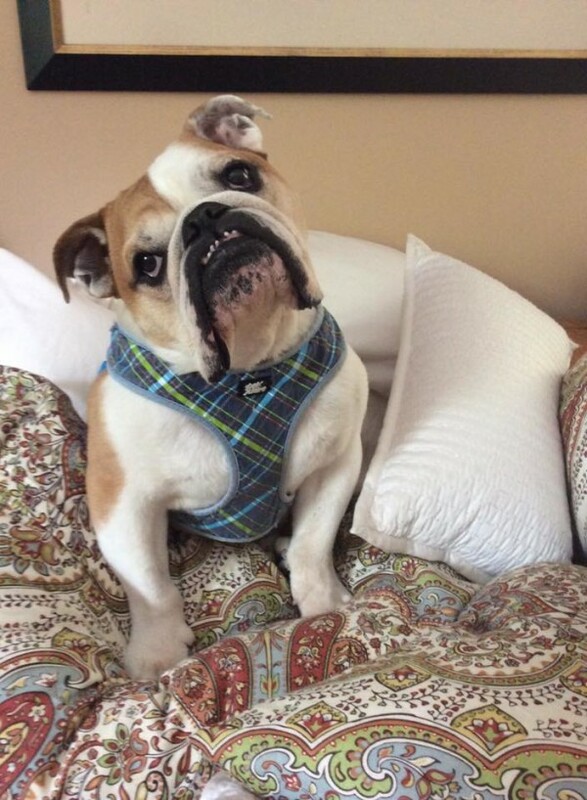 Dog mom, Amy Colella wrote to say thanks for helping her beautiful dog, Toby. We could not be happier that he is doing so well. 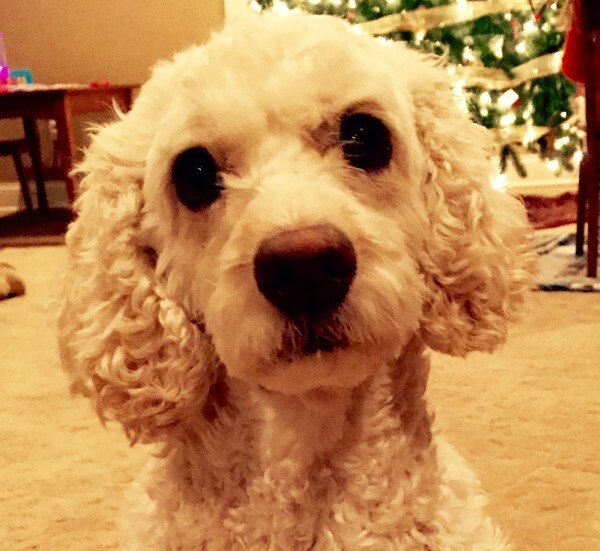 We wanted to share her story of Toby’s journey. 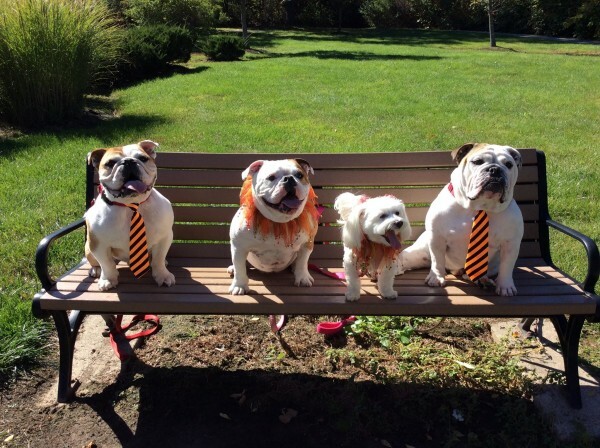 We know that other pet parents are searching for answers to find health for their companions and we hope that by sharing these stories they will find the solutions that they need. Here is Toby’s story in Amy’s own words. Toby is our 11 year old Cockapoo. In October of 2015, Toby had blood work done to check an elevated calcium level from the is previous lab work in March. Well, that re-check of the calcium turned into concern over his liver and kidney function. I was told to bring him that week for an ultrasound and urinalysis. The ultrasound didn’t show much, however given his lab values and urinalysis I was told he had early kidney disease and should put him on a “kidney diet”. In doing my own research online, I came across Dr. Harvey’s. The next morning I called and spoke with a representative at Dr. Harvey’s and then spoke with Dr. Harvey himself. He guided me on which food would work best and suggested a few supplements to add as well. I Noticed the Change in Just Days! Toby has been eating Veg-to-Bowl for about 7 weeks. I noticed significant changes within days. He was no longer licking his paws constantly and he had much more energy! The Vet Says No More Kidney Diet Needed! Toby returned for blood work today and his labs were back to normal ranges!!!! Our veterinarian actually said he no longer needed a “kidney” diet. My other dog Duncan is enjoying Dr. Harvey’s as well. Duncan would walk away from the “premium” kibble and now he sits in the kitchen just waiting for his food. Thank you Dr. Harvey and team! Watch the emotional, inspiring video and discover why the Martino’s and Augie, their award-winning champion Viszla, trust only Dr. Harvey’s at mealtime. 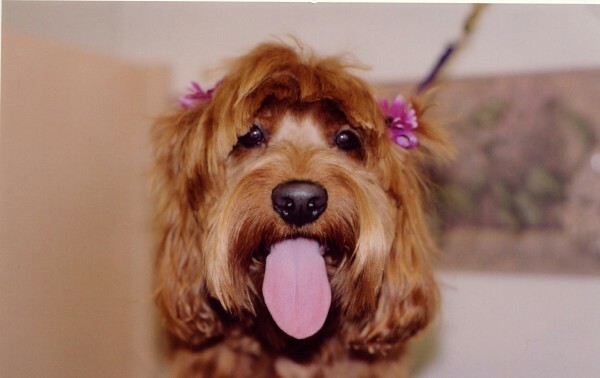 Like so many pet parents, Jim and Nancy Martino fed their beloved Vizsla a diet of kibble. But at age 11, their companion developed canine cancer and passed away. It was a rough time for the Martino’s; one that they determined never to repeat. 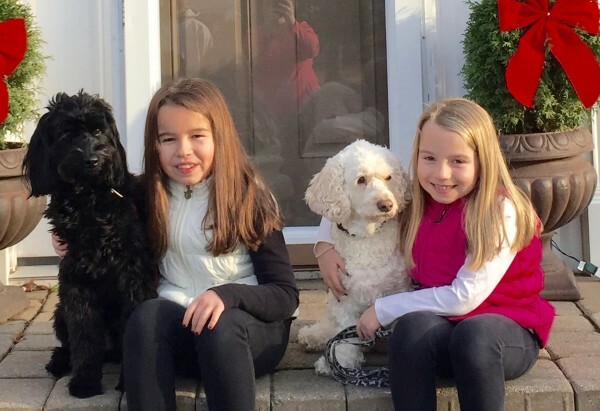 That’s when the Martino’s discovered Dr. Harvey’s Canine Health — and even spoke directly with Dr. Harvey, who gladly shared his wealth of knowledge and experience. That settled it. It was time for the Martino’s to bring home a new best friend. His name is Augie, he’s an award-winning champion, and as you might have imagined: he’s a beautiful, energetic Vizsla! We were lucky to meet Augie’s parents ,Nancy and Jim. They came to purchase food and told us their story. 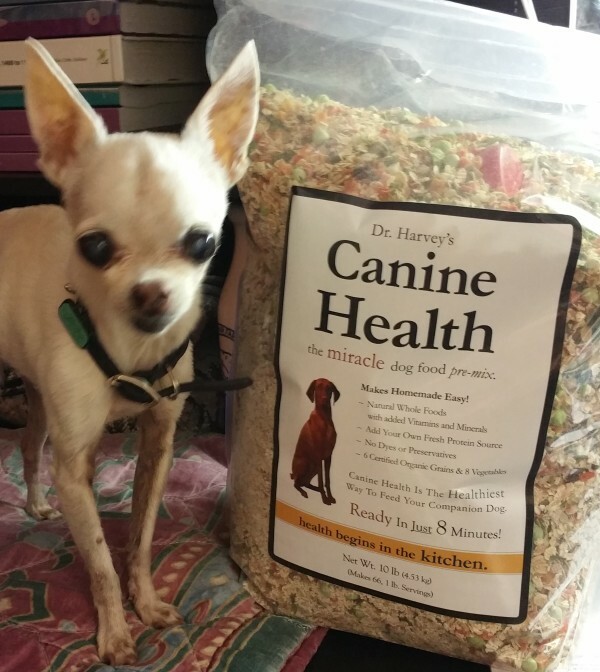 They told us about why they chose to feed Augie Dr. Harvey’s Canine Health and what a difference it has made in his health. It was wonderful to hear how healthy Augie is on Dr. Harvey’s Canine Health and to see the proof in this beautiful dog. 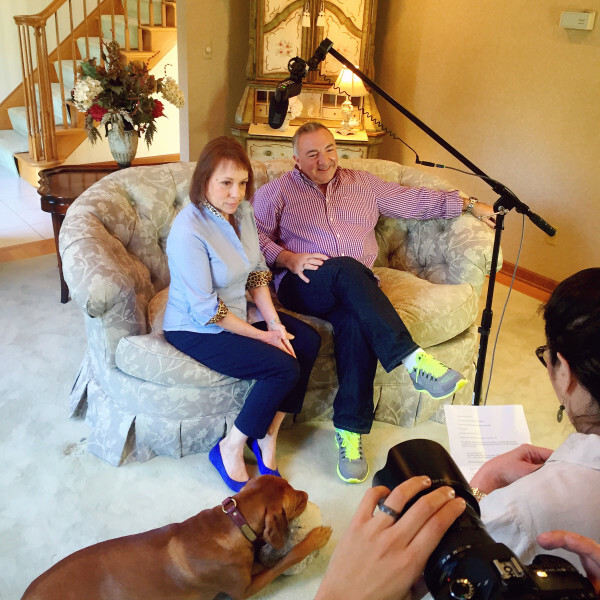 Nancy and Jim wanted to share their story with other pet parents. 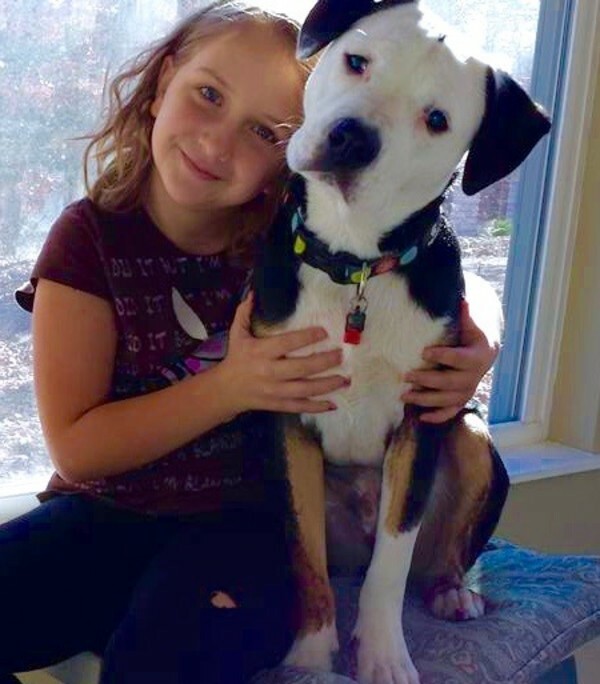 They wanted others to know that feeding fresh food has made a difference in Augie’s life and how feeding Canine Health could make a difference in the lives of other dogs. They wanted to share their story with you. We hope that you enjoy watching this short video and that you experience some of the joy that we had while making it. Augie is a wonderful, happy and loving dog who was pleased to let us play with him on several shoot days and let us record his daily routine. The results are here for you to see. Enjoy! I’ve been reluctant to give praise to any food that my little guy Carson will eat, because he’s not only a picky eater, but he’s always had stomach upset. Every time I thought he was going to eat a food and keep eating it, he’d either turn his nose up to it after a couple of meals or his stomach would get upset and he wouldn’t eat any food at all for a few days. He’s always been a little guy (3 lbs) and he just turned 15. A few of months back I thought he had stomach upset again, but this time he had severe diarrhea and some vomiting. He’d been eating a raw food off and on for many years. I didn’t make the connection until the food had a recent recall on it. We ended up having to take him to the vet and he was given fluid due to dehydration and medicine for the diarrhea. I started feeding him very small amounts of cottage cheese and rice, then I went to small amounts of chicken and rice. I finally decided to try the Canine Health.. I started very small and surprisingly, he was eating it! So, I continued feeding it in very small amounts. I couldn’t believe that he continued to eat it. I was just waiting for him to turn his nose up like he has always done. His symptoms cleared and he was eating like I’d never seen him eat before! This Has Been Unbelievable to Me! A few months have passed and he’s STILL eating Canine Health. I change his protein every week and add in a little less than 1/2 tsp. of Kefir and salmon oil (which I rotate with olive oil and coconut oil). He eats a tablespoon every 3 hours. He’s loosing his eye sight and hearing, but he still wants me to throw his favorite toy for him to get and bring back to me every night. It’s Amazing To Me-He Has Never Had an Appetite Like This! 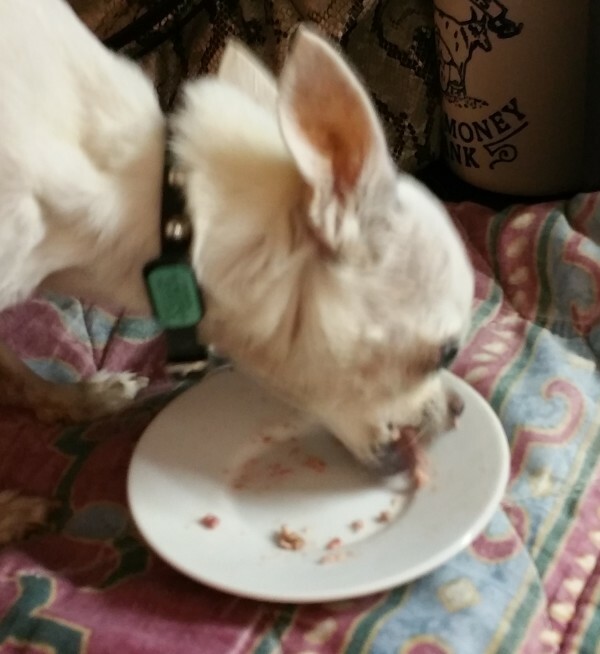 I can’t say for sure it was the Canine Health, but I’m pretty darn sure it is because I’ve had this little guy since he was a baby and he’s never in his life had this kind of appetite, and to think that he’s 15. Its amazing to me. At the beginning of this letter I said I was reluctant to give praise about a food. I’m so afraid that he’ll up and fall back in to the way he was and not eat and have stomach issues, but it certainly hasn’t happened yet, so that’s why I felt I was ready to share his story with you. Everyone says his eyes are bright and his ears are always perky, and he appears to have more energy than before. He has a little sack that he sleeps in all the time during the day and use to stay in it constantly. In fact, I would even say that he had no life, all he did was stay in that sack. Now, he’s up and in the kitchen all the time. My Other Dogs are Eating Canine Health Now Too! I’m so happy to feed my dogs food from a company that really does care about these guys. My other dogs eat Canine Health now as well and they love it. Since the recall on the food that Carson was eating I won’t even consider feeding my kids anything other than your food. It’s pricey for us with having others besides Carson, but just to see how it’s changed Carson, there just isn’t a price tag for that. Thank you so much for listening and not only making a great food, but going out there and trying to help all those dogs that can’t help themselves. You all are a blessing to us humans and our canine babies. I’ve attached some pictures of Carson. I know you will be able to appreciate them. Lucy, our 12 year old cockapoo had been battling diarrhea for months. Our trusted vet put her on antibiotics and prescription dog food. She was getting worse by the day so I insisted on another blood scan. The dreaded call came the next morning, Lucy’s condition had rapidly deteriorated, her liver function was extremely low she would not last another 6 weeks. Really! I did everything the vet told me to do! A work associate told me to call Dr. Harvey. I was doubtful, but sent him an email describing her condition and blood and liver levels. He called me! After a wonderful discussion I put her on a plan to make her healthy again. It worked! Every day has been a little better than the last and within FOUR days her diarrhea had completely stopped and has not come back. It’s been 7 weeks. We have our sweet dog back and it’s been an amazing transformation. She has gained most of the weight back and she plays ball, goes for walks, barks at the neighbors who walk by and best of all is very happy. 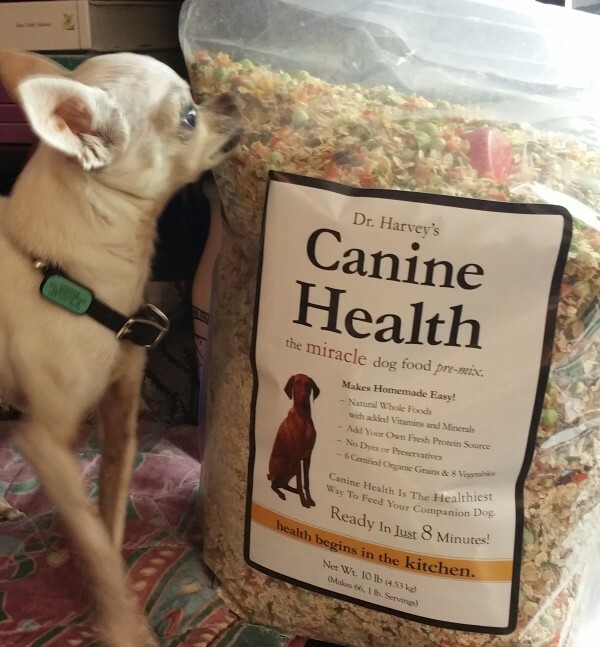 She loves her Dr. Harvey’s food, Canine Health, especially on the days that I make it with cod! Dr. Harvey we can’t thank you enough! We have been helping dogs with digestive issues for over 30 years. While the causes of digestive issues may vary Canine Health can be your solution no matter what the cause. And the problem remains. You may have even tried a “prescription diet” that promises to help your dog’s problem. The frustration can be overwhelming when you feel you have tried everything and the problem still remains. Switch to an all-natural diet – A diet made of fresh whole foods will support digestive health. See Results in Just days – even in cases that have been a problem for years. See smaller well formed stools and even less odor than when feeding processed commercial foods. 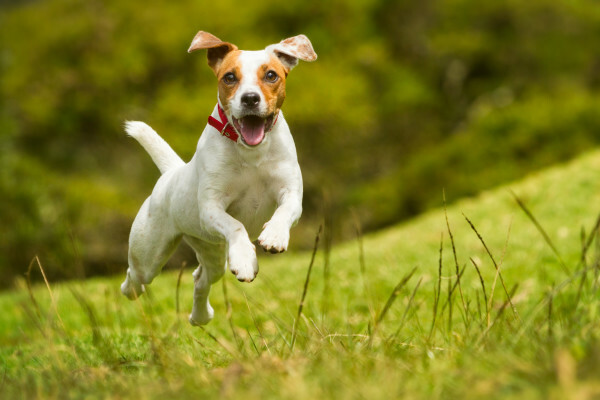 Commercial dog foods are lacking in essential nutrients, natural fiber and sufficient moisture to create a healthy digestive tract. Kibbled foods can cause enormous problems, including digestive stress leading to diarrhea, constipation, gas and other digestive problems. More effective than any kIbble including ultra-premium brands and prescription diets. Canine Health is a super food containing 6 organic grains with no wheat, corn or soy and 9 different vegetables and herbs. Making the Switch is Easy 1,2,3! That’s It! That’s it! You have a fresh, wholesome meal for your dog. 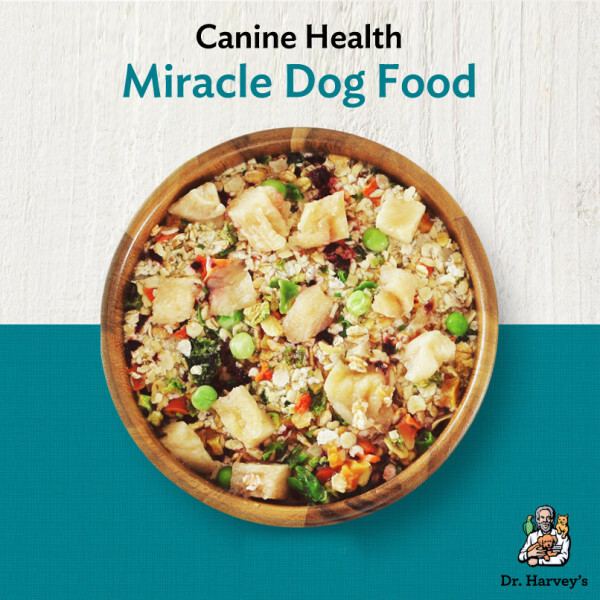 This combination of high quality fiber and a variety of vegetables will help bind dogs with diarrhea, but will also help dogs with constipation, gas and other digestive problems. Canine Health is crafted with science and love and is made in the US in our own factory under the direct guidance of Dr. Harvey. We also know your dog will love Canine Health even the pickiest eaters love eating fresh real food. 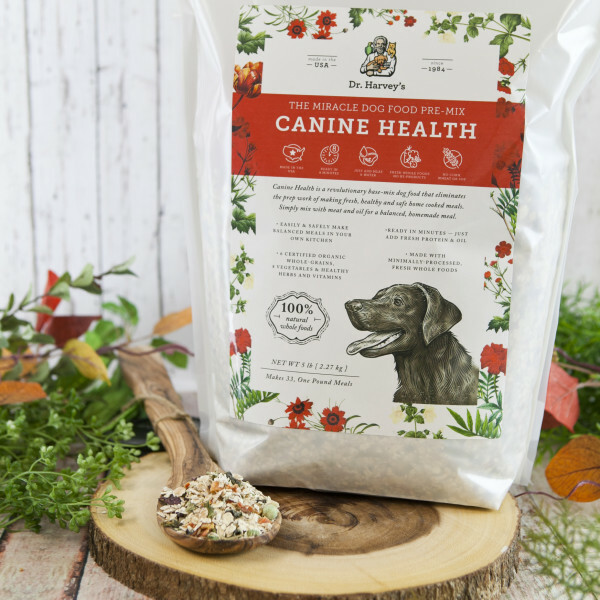 If you are looking for results to help your dog’s digestive problems, if you’re tired of watching your dog suffer and tired of the constant clean up…Start feeding Dr. Harvey’s Canine Health. It’s the very best thing you can do for your dog.